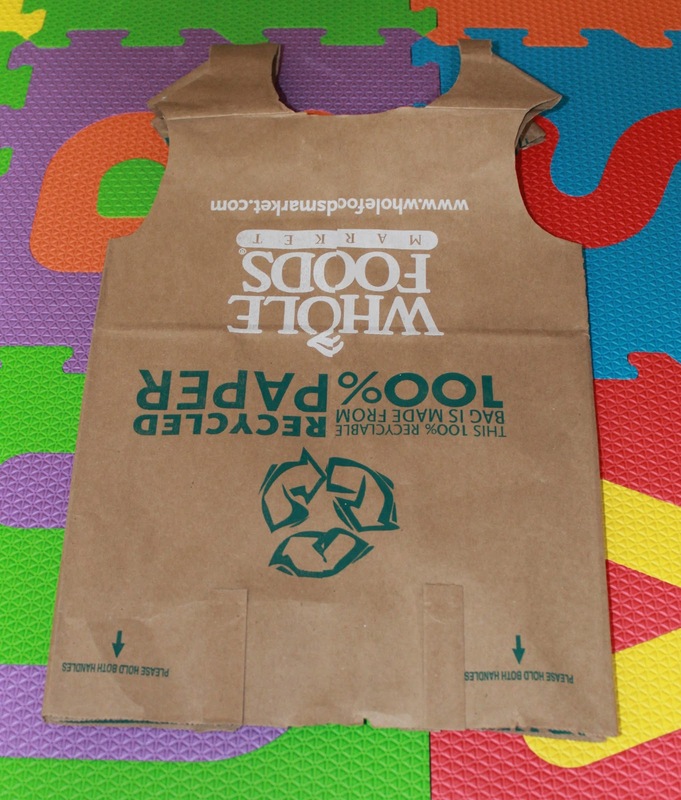 want to make from a paper bag? & they were excited about doing it. arm & head holes for each dress. and we cut some rounded edges at the bottom. 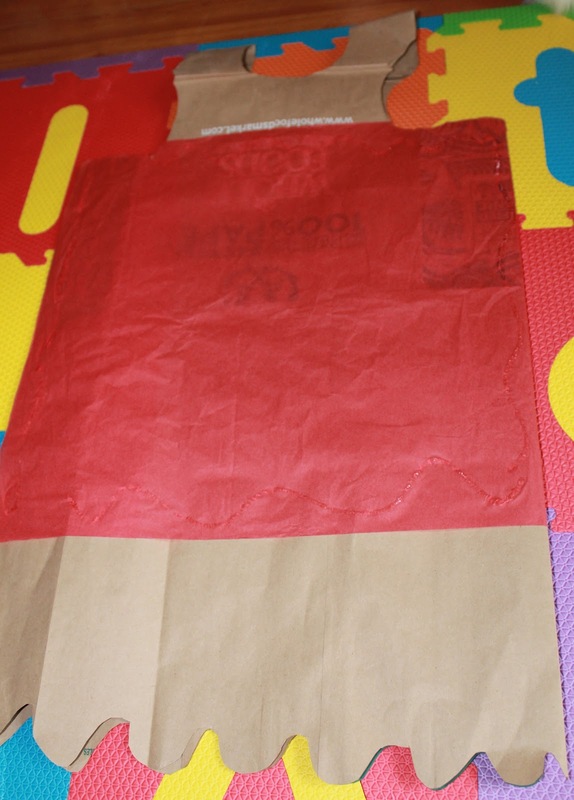 To hide the wording on the paper bags we glued on some tissue paper and that became their design canvas. They were so happy with their creations! creative bloggers on this creative challenge too. Awesome! Love this idea! Love the book to go with your idea too....a must read! 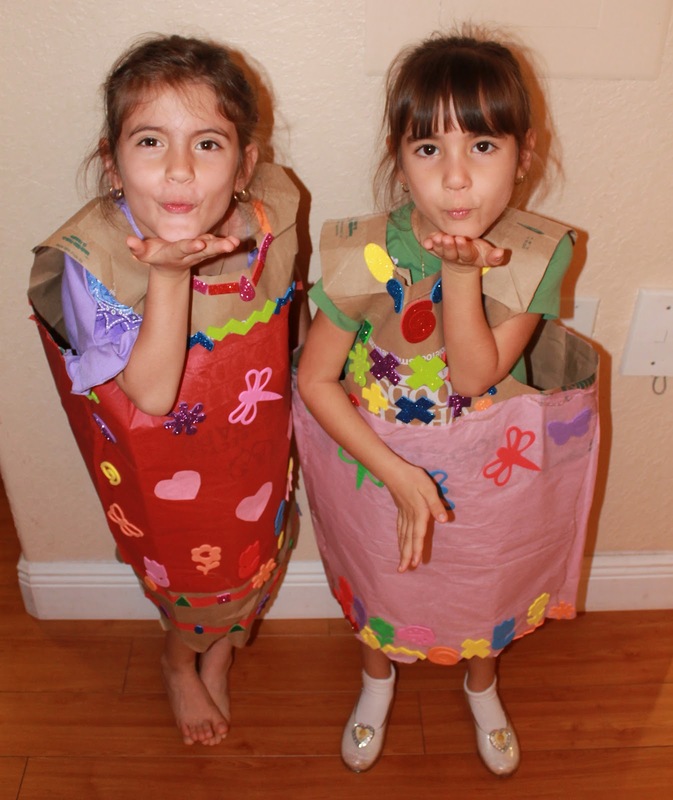 Your Divas look great in their dresses! thank you it's one of our fave go to books! They look gorgeous..what a great activity!! haha, with girls making the decisions you know we have to go princess dresses! It was fun though & they had fun dressing in them. Can't wait to see what you came up with. i love those princess dresses! looks like such fun! You and your girls rock, Bern!! Your girls look amazing in their dresses and you all did a great job. I know tons of people will be inspired to try this at home (my 3 year old would love this). thanks Rachelle - it was hard keeping my ideas to myself & just letting them do what they wanted, how they wanted! I'm glad I did though because they had fun and really enjoyed their creations. 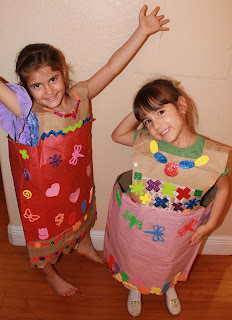 Oops, when my link came to this page I thought it was the Sunday Showcase so I linked up my very non-paper bag projects here by accident! I don't see how to delete them. Sorry!! 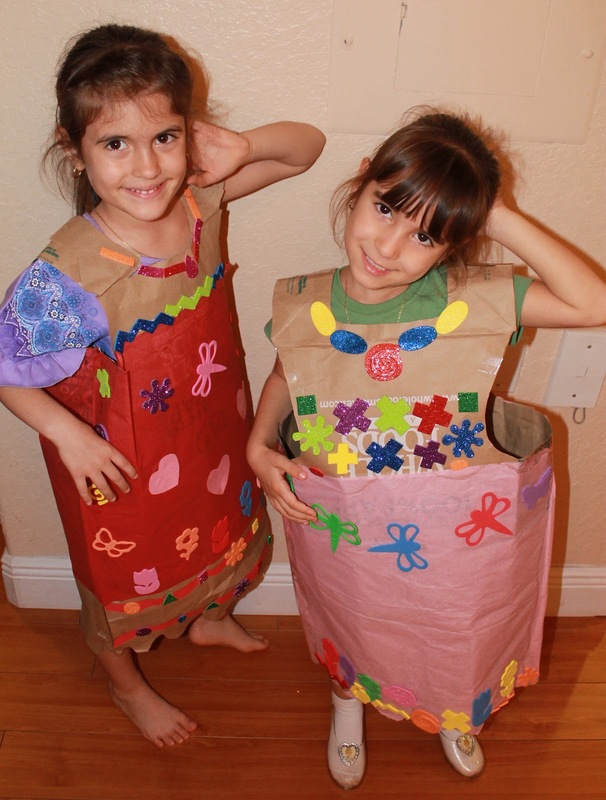 You sure do have two ADORABLE paper bag princesses! Hooray! Cute, Cute, Cute. Thanks for sharing the picture of your craft area - makes me feel better about all the mess we make. 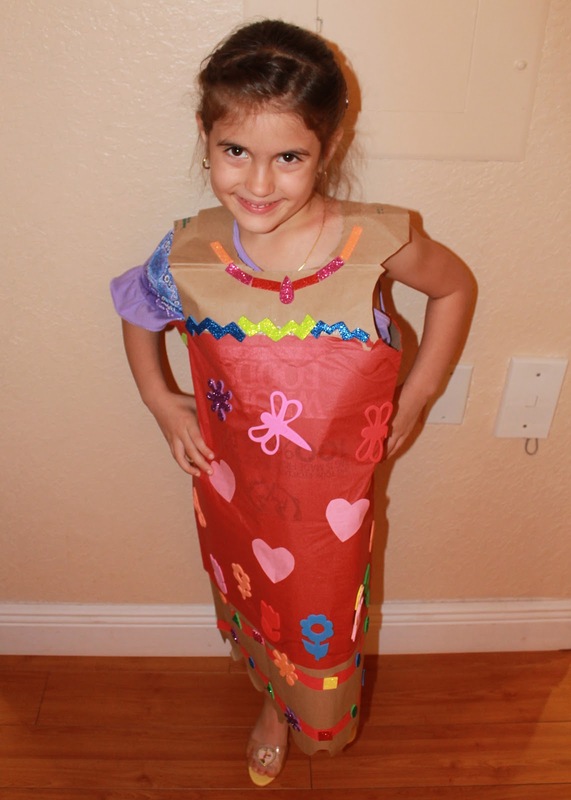 What wonderful dress designers you have at your house! Thank you for linking to Read.Explore.Learn. They are so cute! I know my little one would just LOVE making a princess dress. Thanks for the inspiration! This is a great way to transform paper clutter into something fun and useful that kids would love. I can't wait to show this post to my kids. This is awesome. Very interesting article, Which you have shared here about the Paper Bag. 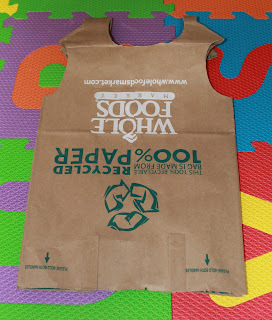 After reading your article I got very much information about the creation of bulk paper bags dresses. I would like to thanks for sharing this article here.